from based on location, cuisine or dining type. One popular dining spot to move to the top of your list is the historic Boiling Springs Tavern. Below are just three of the many reasons why you should visit this Cumberland Valley staple during your next visit. Boiling Springs Tavern was voted Best in the Valley two years in a row – and for good reason! Operated for 28 years by the Keith family, the Tavern prides itself on offering consistent, high-quality foods and exceptional hospitality. In fact, some of the servers and bartenders have been at the Tavern for up to 20 years. High-quality food does not necessarily equate to high prices. A selection of menu items are priced very similar to popular chain restaurants, making Boiling Springs Tavern a family-friendly pick. The Tavern’s casual fine-dining menu is a selection of traditional favorites and entrees with a twist. 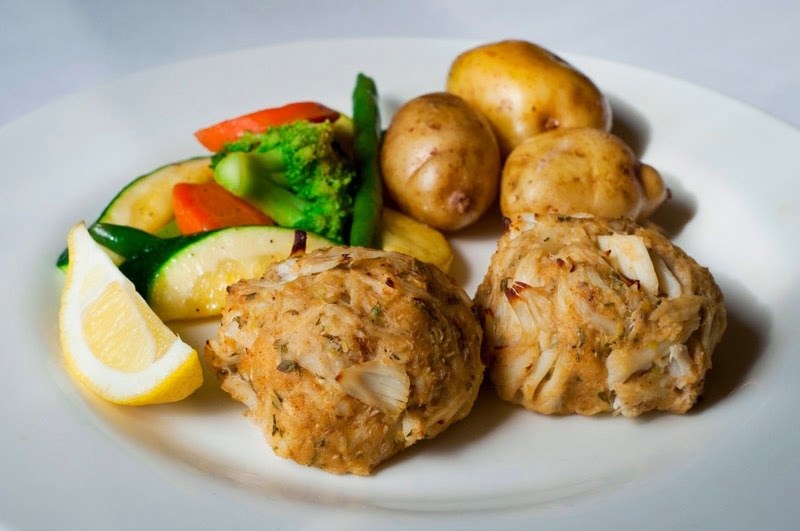 Try the beautifully plated crab cake, the signature seafood bisque (available for takeout by the quart), a juicy steak, fresh seafood, hearty pasta or enticing dessert. 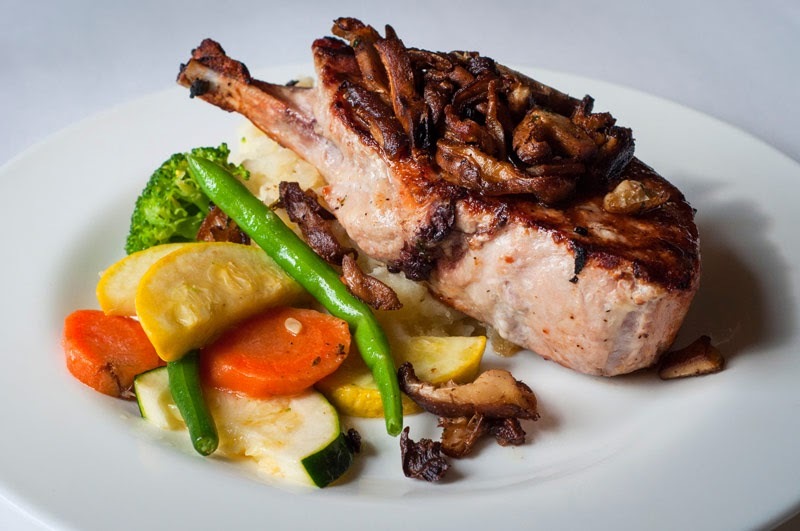 The Cowboy Pork Chop is from the Japanese Black Hog, a heritage breed, and a favorite of the staff and customers alike. For the outgoing palate, try the Calf Liver with Onions. Fans have been known to travel over 30 minutes to enjoy this unusual dish. Seasonal produce is sourced by local farmers, bringing Cumberland Valley flair to each dish. Built in 1832, this limestone tavern is situated in the charming downtown of scenic Boiling Springs. Throughout its 180-year lifespan, the tavern has served as a stop on the Underground Railroad, a hotel with a small pharmacy, a popular destination for vacationers to Boiling Springs, a stopping point for thru-hikers on the Appalachian Trail, a place to share stories for fly-fishermen and a timeless location for a hearty meal or drink with friends. The tavern was owned by Adolphus Busch of Anheuser-Busch from 1902 until prohibition in 1920. Visitors will be greeted by the limestone exterior and warm, wooden interior. A wood burning fireplace sits beside a table for two overlooking the Bubble (the source of spring-fed Children’s Lake), and is a popular request for diners enjoying a romantic evening. The long bar is often filled by friends and families who enjoy fine wines and Pennsylvania microbrews. Boiling Springs Tavern’s logo is a nod to the hundreds of ducks at scenic Children’s Lake, located across from the Tavern. 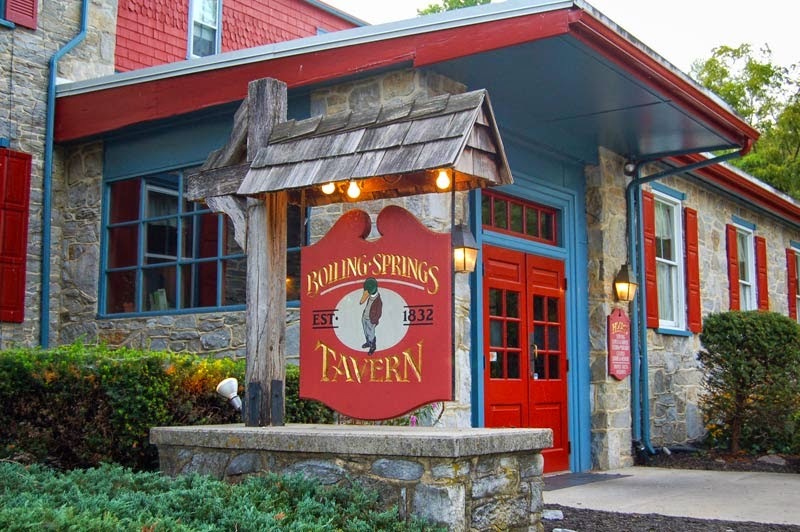 Whether you are looking for fine dining, a romantic evening or something off the beaten path, add Boiling Springs Tavern to your next Cumberland Valley adventure.